Hello everyone! I hope you all will be absolutely fine and having fun. Today, I am going to share my knowledge about How to Create m File in MATLAB. It is also known as New Script or Editor in the MATLAB. It’s an amazing MATLAB tool. We can write the complete source code on editor. If we want to visualize the result of the particular statement we should not put a semicolon after that statement in MATLAB. 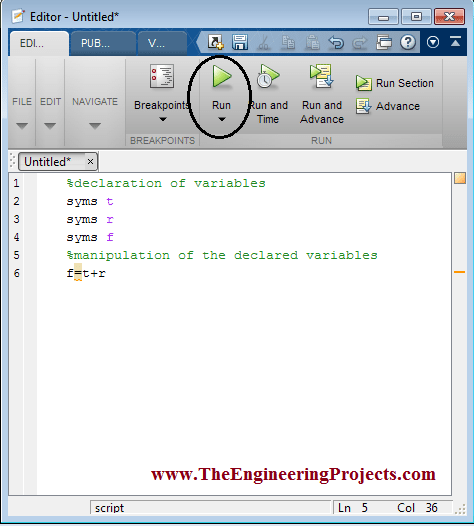 Before going into the details of this tutorial, you must first have a look at Introduction to MATLAB and if you don’t know about MATLAB variables then you must read Declaration of Variables in MATLAB. By doing this and by pressing the Run (Green Color) button at the top of the editor we will be able to see the result on the command window. 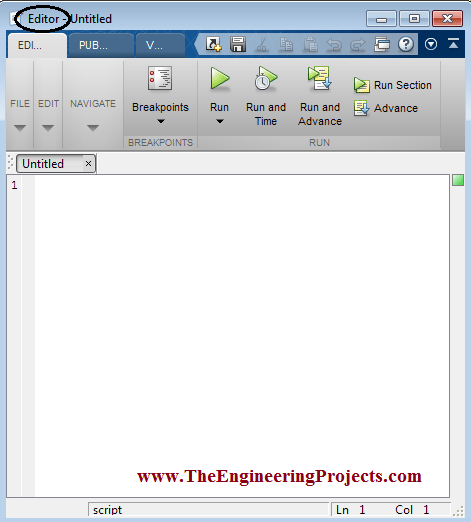 In other words, we have to write the entire source code in the editor and to run the program and the desired results will be displayed on the command window. It is easy to do so as compared to write and manipulate every single statement on command window. 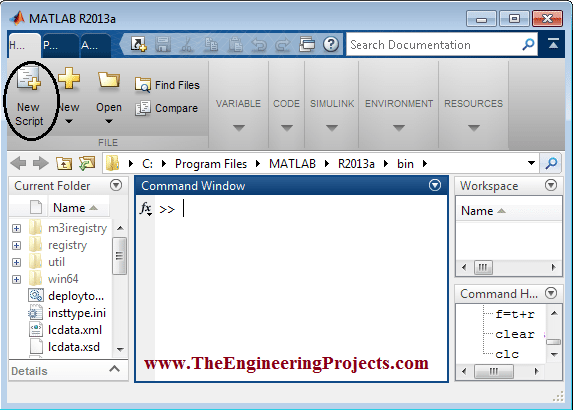 How to Create m File in MATLAB ??? 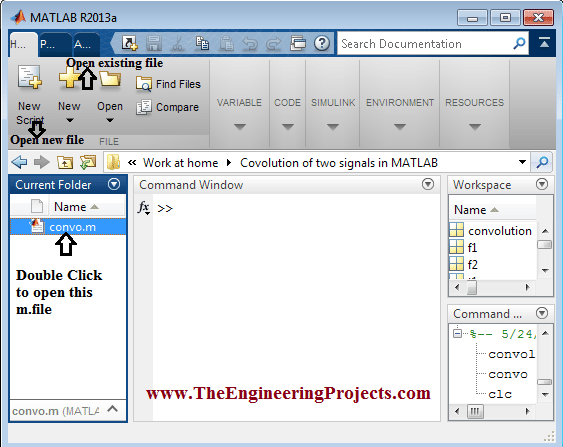 Here, in the tutorial How to Create m File in MATLAB, I will show you the step by step procedure to create an m file in MATLAB first and then to observe the desired results on command window. First of all you need to open your MATLAB software. 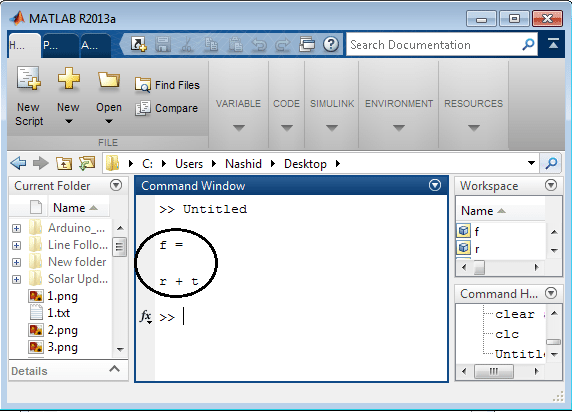 Go to the top left corner of the front window of the MATLAB and click on New Script. A new window will be appeared on your screen right after clicking on the New Script. The second window appeared on the screen is shown in the figure below and it is also known as an Editor. A very simple code written on the editor by declaring three different kinds of variables and their manipulation is shown in the figure below. Now, if you want to observe the result on the command window you have to do two things. The first thing is to remove the semicolon at the end of the statement as shown in the figure above. And the second thing is to press Run button encircled in the figure shown above. After following all of the above steps you will be able to visualize the results on the command window of the amazing software i.e. MATLAB. The result observed on the command window is shown in the figure below. You can see the result is obtained in the form of an equation. That was the detailed discussion on Creating m.file in MATLAB.